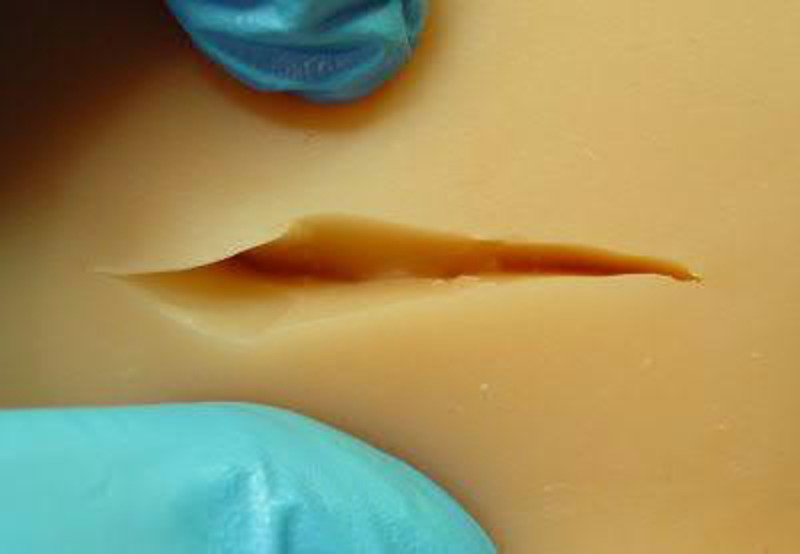 The example below explains how to weld a longer incision with small depth. 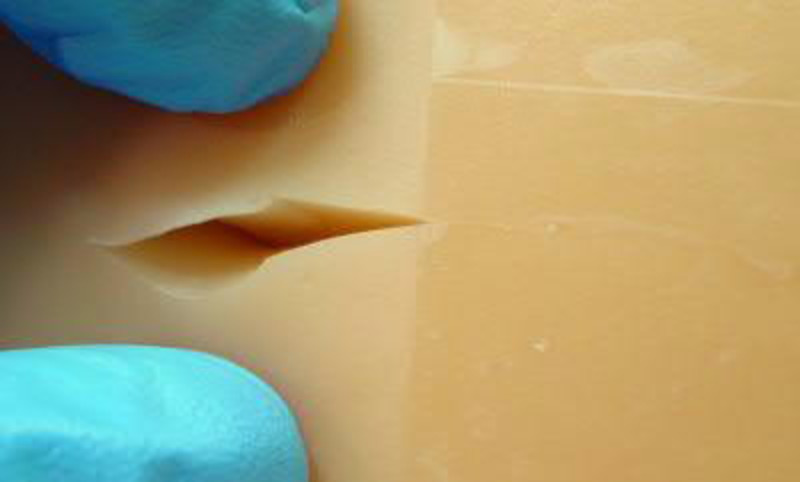 Longer incisions are problematic in that the edges of the incision may shift, creating visible and feelable edges. Therefore, longer incisions are welded step by step. For fixation and stabilization, duct tape (scotch tape) is recommended. The right half of the incision is now fixated with adhesive tape and thus keeps it closed. The left half of the incision is now slightly opened and welded as a small incision, as already described in "Welding of short incisions with small depth". 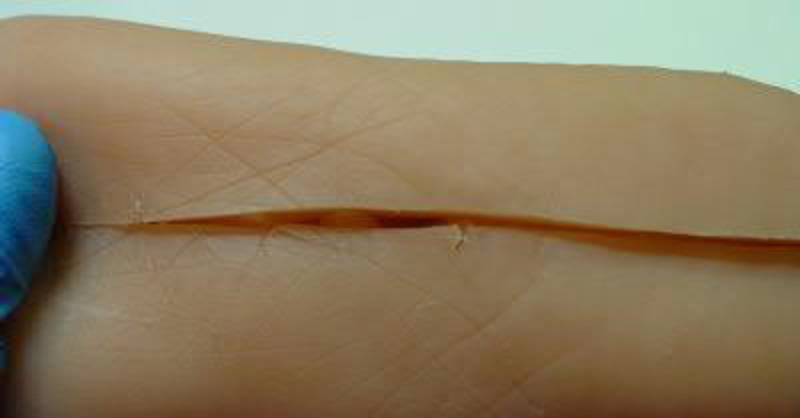 This incision on the sole of a TPE love doll has a length of 10cm and a material thickness of 2cm. The fixation with several duct tapes across the entire length of the incision now ensures stabilization. After curing of the diffusion adhesive, these steps are repeated.